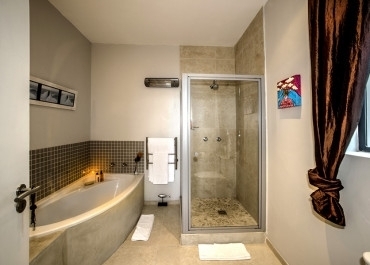 Consists of two bedrooms with an interconnecting door. 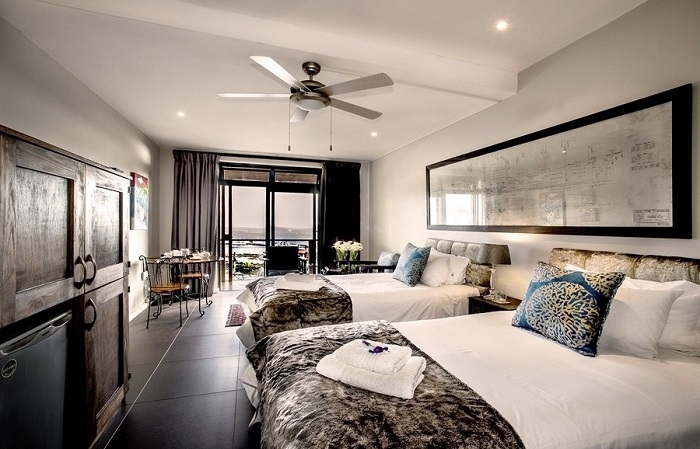 One bedroom has a King-size bed (or 2 Twin Beds) and the other has bunk beds, leading to a separate shower-bathroom. 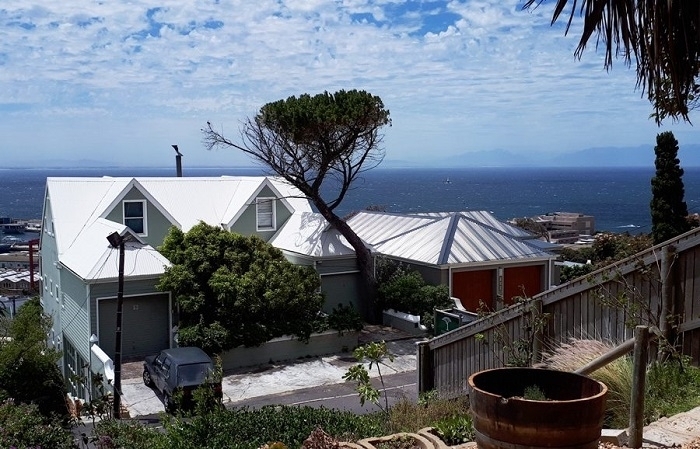 An open-plan kitchen (with gas/electric stove, fridge/freezer, dishwasher), dining and living area (with sleeper couch) leads out to a private barbeque area and our indigenous garden with beautiful sea views. 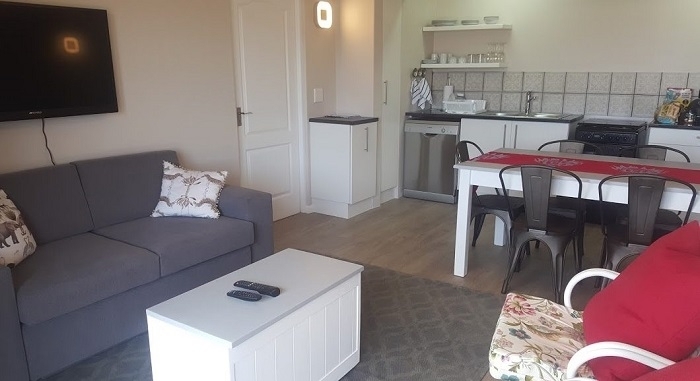 Other facilities include: ~ Free Wi-Fi, Dstv, library, evening shuttle to local restaurants and private barbeque area for Garden Apartment guests use only. 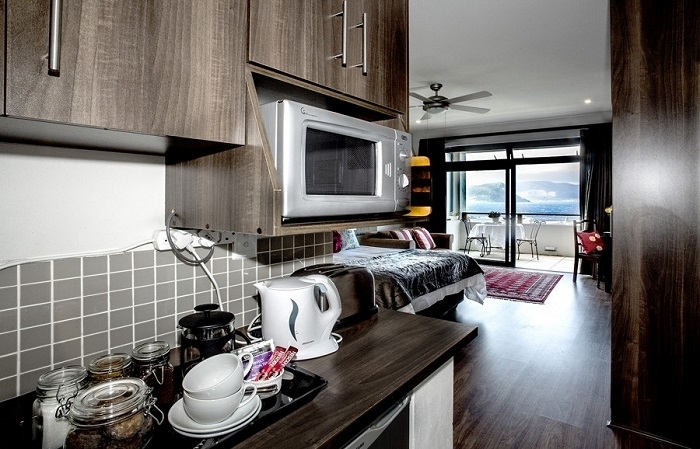 Kindly take note that the rate for this apartment does NOT include breakfast. 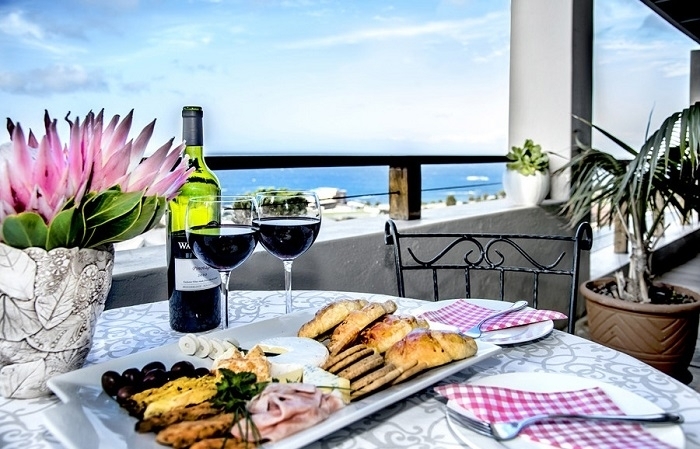 You would however be more than welcome to join us for breakfast by prior arrangement. 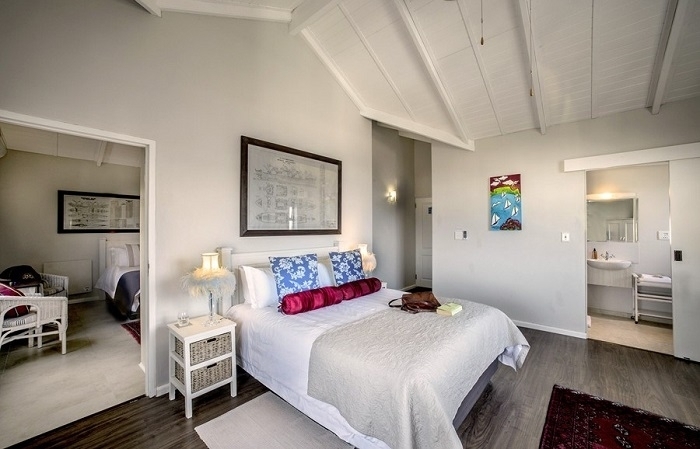 (34m²) Our Executive Rooms all come with the option of twin beds or one King sized bed and feature either an en-suite shower-bathroom or en-suite shower-baths. 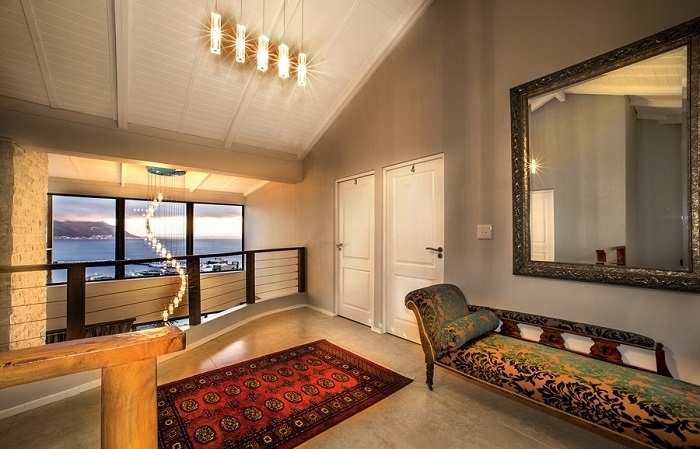 Each room has a lounge area leading onto a covered balcony overlooking False Bay. 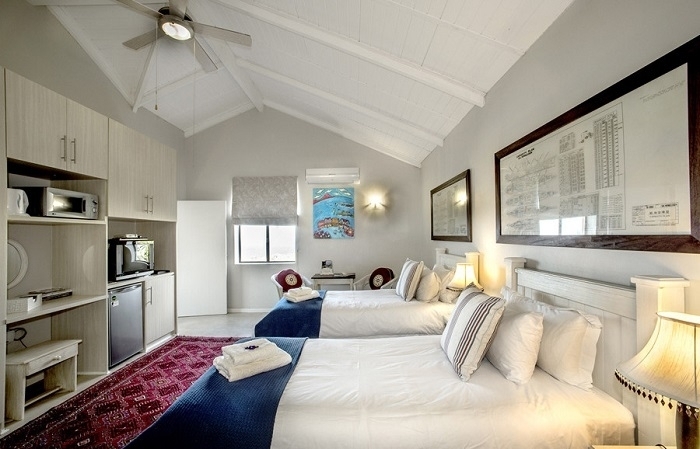 These rooms have access to a kitchenette on this floor for self-catering. 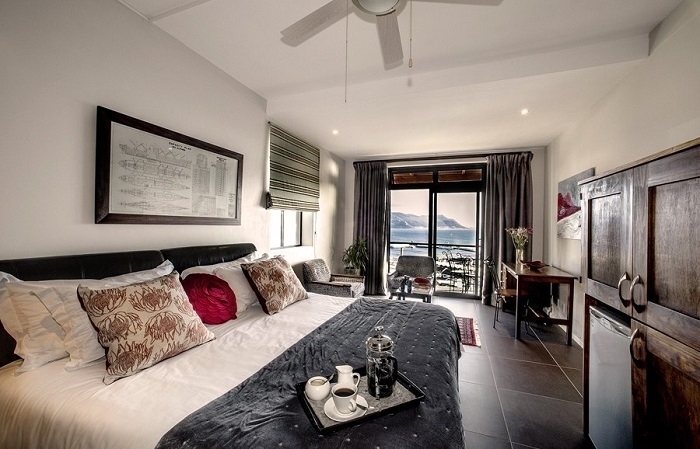 25m² each) These rooms can serve as individual rooms or as one unit. 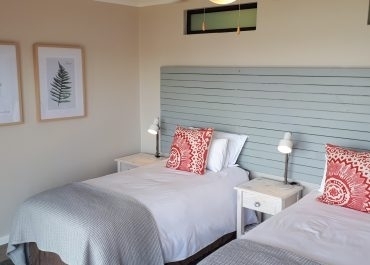 An inter-connecting door giving direct and private access between the bedrooms make these rooms ideal for families. 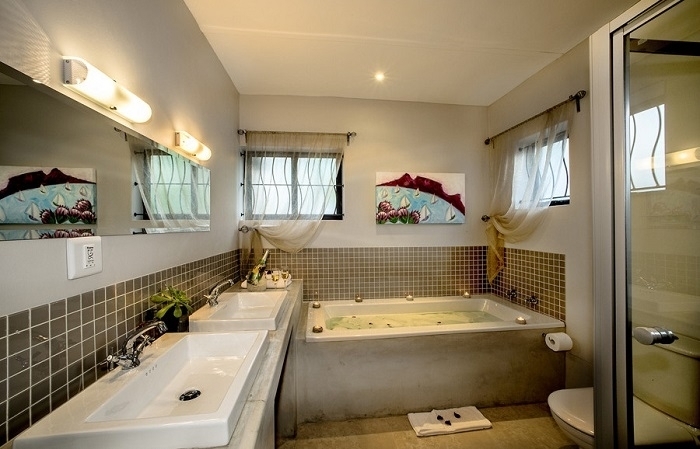 Each bedroom has its own en-suite shower-bathroom. 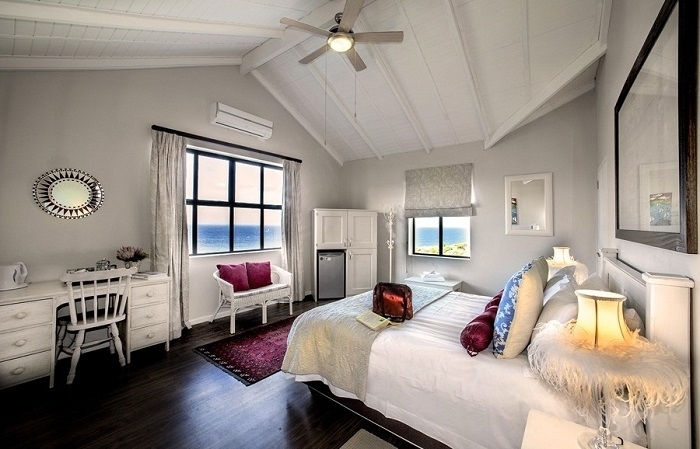 These rooms don’t have balconies, but still offer beautiful sea views. 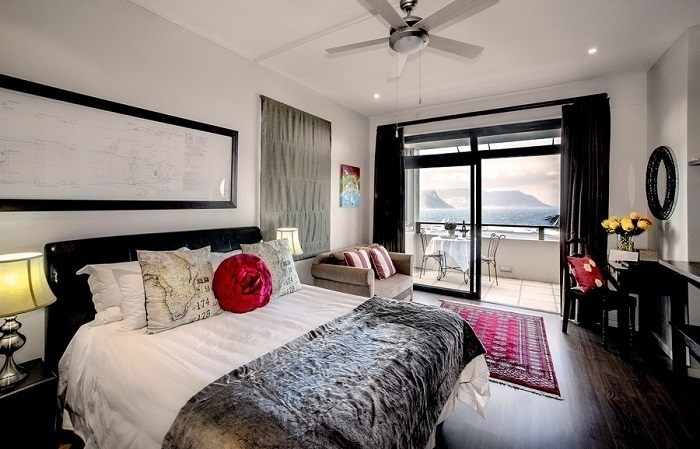 (36m²) This modern and stylish room is ideal for longer stays with a Queen sized bed and sleeper couch. 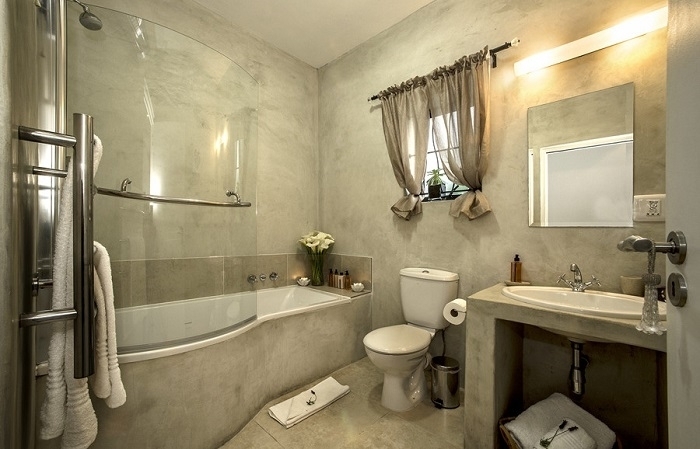 It features a full bathroom and self-catering facilities. 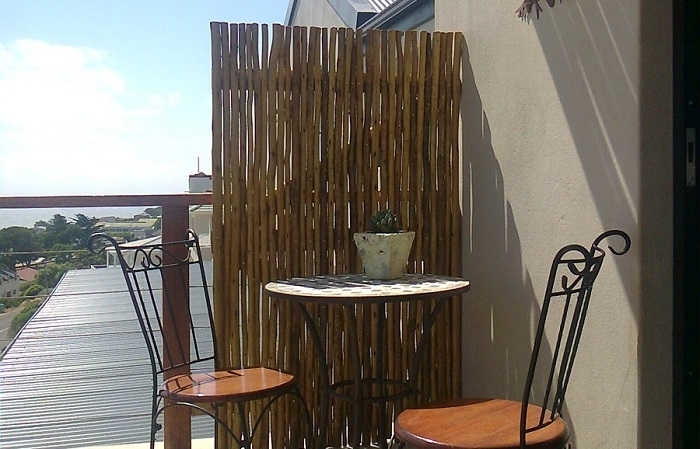 The large private covered balcony has direct access to our barbeque area if you feel like having a “braai”! 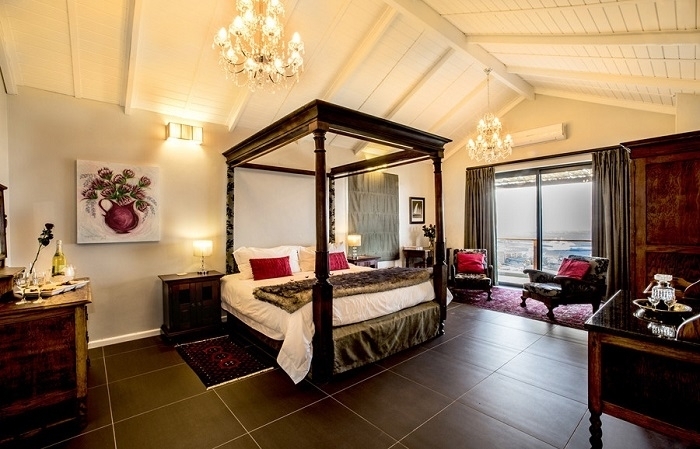 (42m²) With a beautiful hand-hewn four-poster bed and luxurious linen, this room has air-conditioning, a full bathroom with an extra-large bath & shower and double basins. 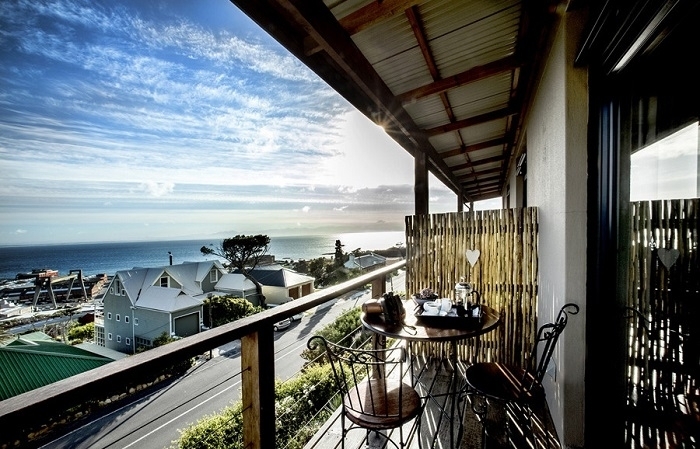 Relax with a glass of wine or enjoy the sunset from your private, shaded balcony. 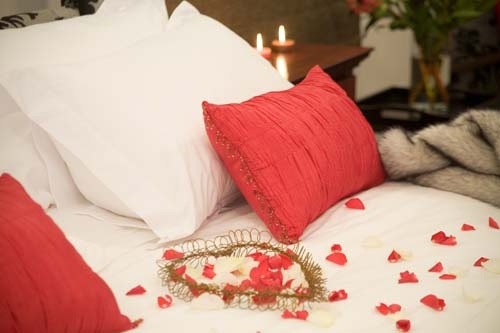 This room is ideal for romantic getaways and honeymoon couples and has the option of requesting “Breakfast-in-bed”!